The Cicerone Group is your guide to achieving maximum value from your organization’s customer experience and employee engagement initiatives. Our research, measurement, training and consulting services are designed to strengthen your internal and external service delivery, leading to more effective management practices and better business outcomes. We partner with you to create a solid foundation for delivering superior service to both customers and employees. 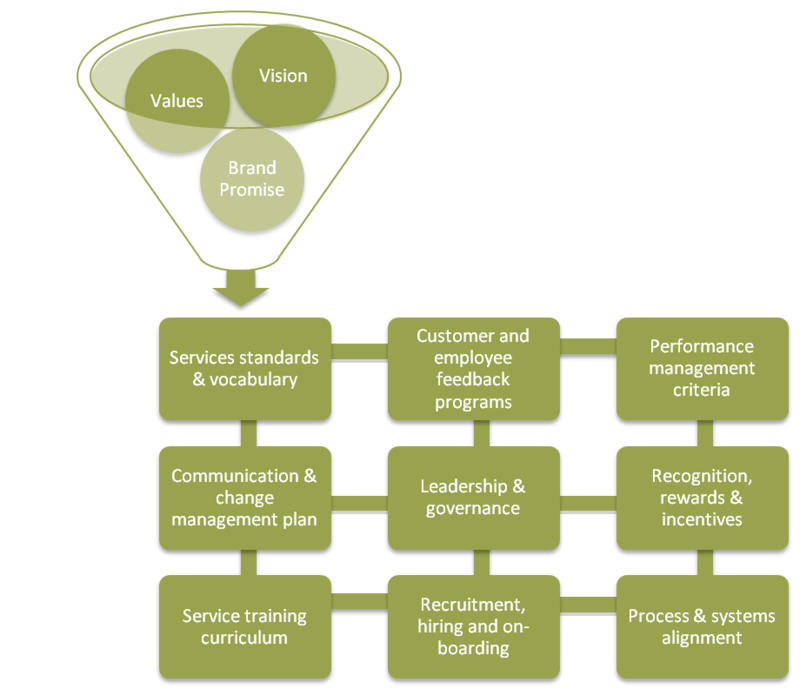 Our model for service excellence helps you build a strong, comprehensive and sustainable service culture that is aligned with your organization’s values, vision and brand promise. Christine Frishholz has led service excellence initiatives for major retail, banking and hospitality companies. A Six Sigma Black Belt and Master Trainer, Christine brings a rich background in organization development, operations, process improvement and training. She has extensive expertise in aligning organizations around a common service strategy, and building processes, policies and systems that result in sustainable service improvement. For more information about our services or team, please contact us.